BikeHireDirect is a family run business offering hassle free bike rental in the Charente (16), Charente-Maritime (17), Dordogne (24), Gironde (33), Deux-Sevres (79), Var (83), Vendee (85), Vienne (86) and Haute-Vienne (87) departments of France. Since 2006 BikeHireDirect has offered a wide range of bikes and accessories for hire to visitors staying at Gites, Campsites and Hotels. BikeHireDirect offers great value bike hire packages which include a unique FREE delivery and collection service, helmets and locks all for one simple price. BikeHireDirect has a wide range of bikes and accessories and can be flexible to suit your specific holiday requirements. BikeHireDirect is open 365 days of the year enabling you to enjoy the cycling in France all year around! 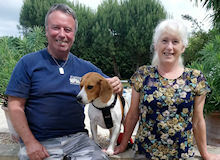 Philip and Sue run BikeHireDirect in the Charente region of South West France. They live in the South Charente and when not delivering or servicing bikes, are busy renovating a rambling old 13th century French house. Giving Phil the chance to wield his power tools and Sue the opportunity to visit Brocantes is pretty much heaven for them. They have previously worked in Sydney and London and have loved the opportunity to swap commuter trains, motorways, meal deals and takeaway coffees for bikes, wine, cheese, empty roads and glorious French countryside. 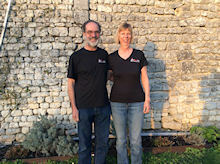 Chris and Beth operate BikeHireDirect in the Charente Maritime region of South West France. 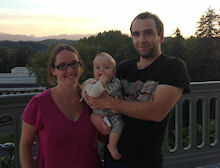 Cedric and Chloé run BikeHireDirect in the Dordogne region of France. They live in the heart of the Dordogne countryside with their son Edwin, surrounded by their many dogs, cats, horses and rabbits ! After a successful legal career Cedric, who is passionate about bikes, jumped at the opportunity to run his own business allowing him to spend more time with Chloé and Edwin. When not delivering bikes, they can often be found at local running events where Chloé likes to compete in ultra trail running races… the perfect excuse to enjoy all the delicious food in the wonderful Dordogne region! Gareth and Stephanie run BikeHireDirect in the Gironde region of France. 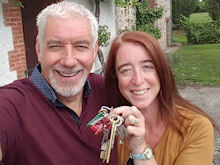 They were looking for a new and exciting challenge and saw the opportunity to move to France and run their own business as the perfect solution. After holidaying in France many times, and loving the city of Bordeaux in particular, they were delighted to move there with their two children. 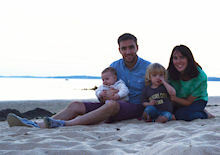 When Gareth and Stephanie get the chance, they love nothing more than spending the day outdoors with their family either at the coast, in the pine forests or at one of the many amazing lakes that the region has to offer; with bikes always being their preferred mode of transport! 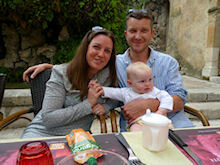 Janette and Nick run BikeHireDirect in the Var region of France. They fell in love with the Var area after spending many years visiting the region for family holidays. 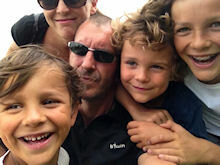 They have always loved cycling as a family, with Nick working in the cycling business for years, so jumped at the chance to move over to France permanently with their son Thomas and their two dogs to start a new adventure as a family. 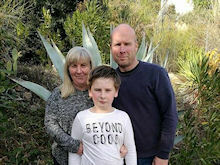 Janette, Nick and Thomas live in a small village in the Var on the edge of the mountains but only 20 minutes from the coast so get the best of both worlds and are enjoying the quality family time that they now have. Kirk and Jill operate BikeHireDirect in the Vendee region of the Pays de la Loire. They really enjoy the outdoor life... eating al fresco, walking their beagle Jessie and cycling around the lovely Vendee countryside. A big bonus for them is living in the second sunniest place in France! David and Joanne run BikeHireDirect in the Vienne and Haute Vienne regions of France. Living in the Haute Vienne area with their three dogs, they love the outdoor life and have visited many wild and remote places around the world, so exchanging their office-bound careers in the UK for beautiful rural France allows them to indulge in just that. Having hired bicycles themselves whilst on holidays in other countries they are keen to provide the extra personal service which is offered by BikeHireDirect that has been missing with other bike hire experiences. Neville and Natasha have now swapped bike deliveries for using their extensive experience to provide top class support for all the BikeHireDirect partners across France. If you have any questions regarding joining the BikeHireDirect network, or anything bike hire related, please don’t hesitate to get in touch. Living in the beautiful Charente countryside with their four young children... they are very much a family run business! 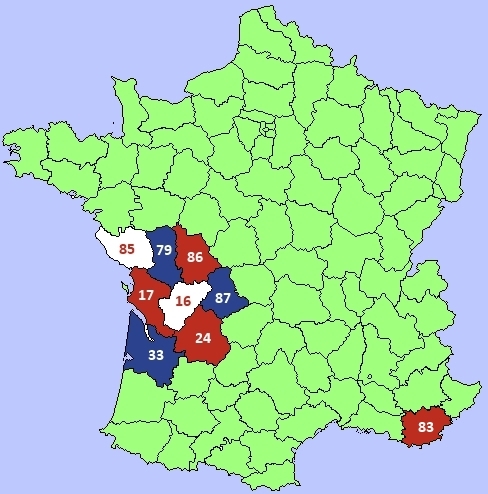 They moved to the Charente after falling in love with the region when they honeymooned in the area in 2006 and have been lucky enough to make their dream a reality. They now want to help others to explore and enjoy France in the best way... by bike!